Ships tomorrow if you order in the next 24 hours 38 minutes. 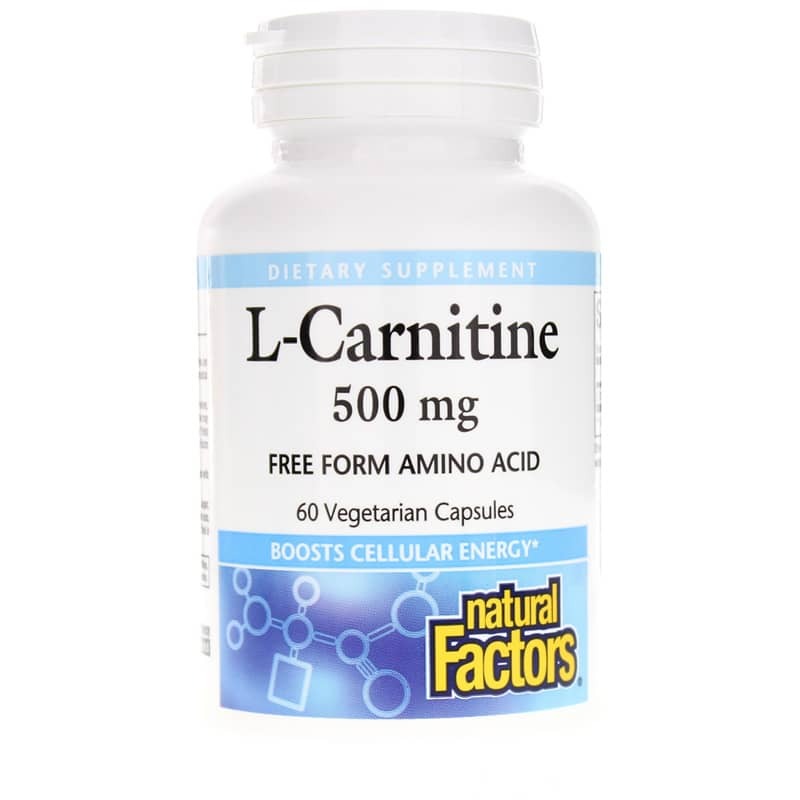 L-Carnitine from Natural Factors is an amino acid supplement that is intended to help convert fat to energy. 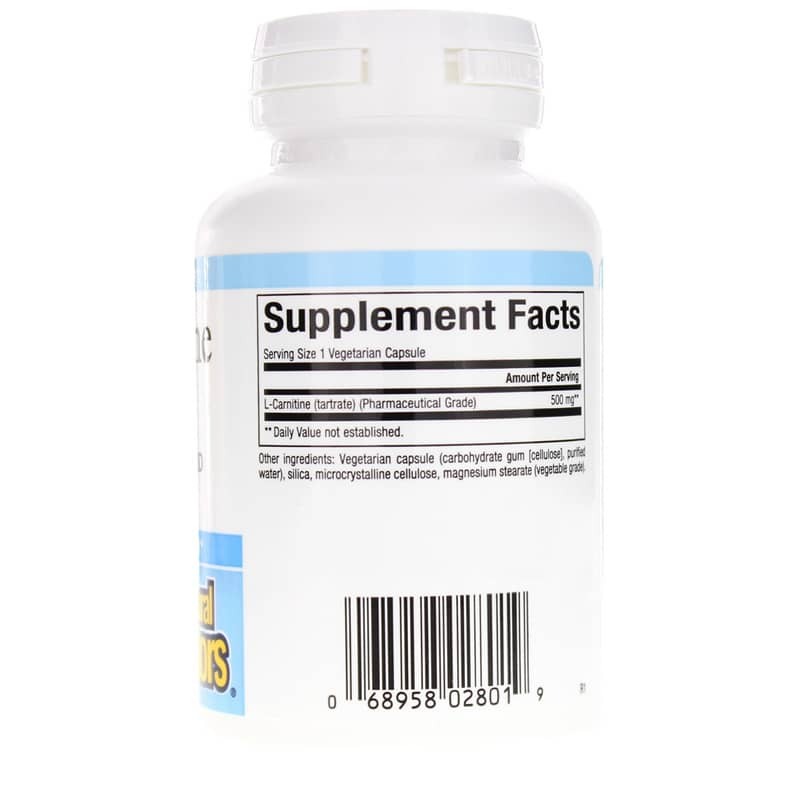 L-carnitine may also play a role in promoting the health of the heart and liver. It may help to reduce the risk of certain heart conditions an may have beneficial effects for those suffering from kidney failure. It may help to increase the red blood cell count of those who are suffering from serious kidney conditions. L-carnitine may also help to relieve the symptoms of an overactive thyroid, such as the rapid beating if the heart. 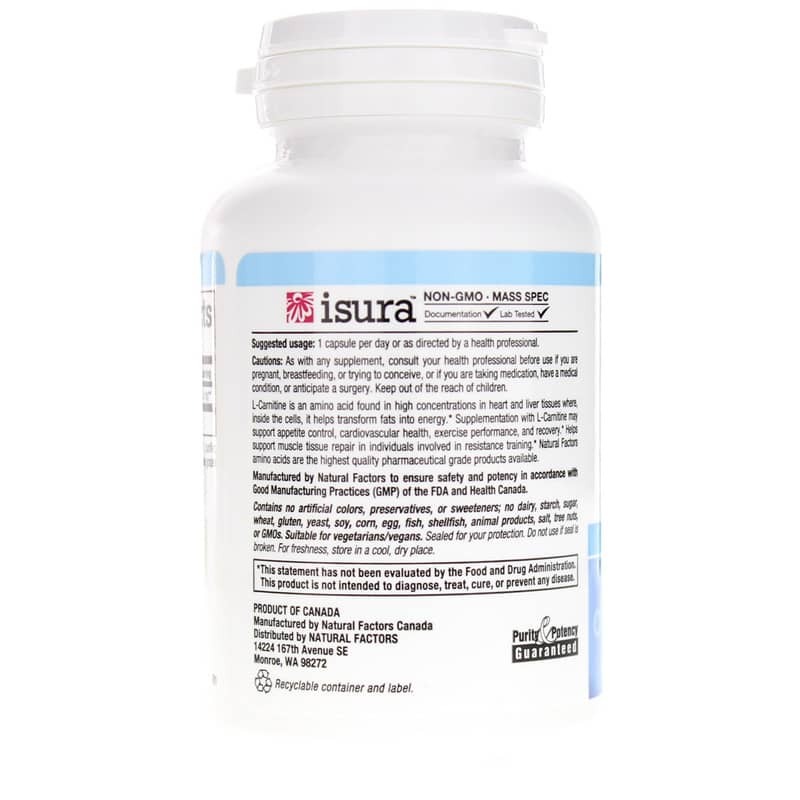 This product is pharmaceutical grade and suitable for vegetarians. Adults may take one capsule per day or as recommended by a healthcare professional. Other Ingredients: vegetarian capsule (carbohydrate gum [cellulose], purified water), silica, microcrystalline cellulose, magnesium stearate (vegetable grade). Contains NO: artificial colors, preservatives or sweeteners; NO dairy, starch, sugar, wheat, gluten, yeast, soy, corn, egg, fish, shellfish, animal products, salt, tree nuts or GMOs. Vegetarian/Vegan.